Harrisburg, PA – In his budget proposal tomorrow, Governor Tom Wolf will build on his commitment to strengthen our schools, build our workforce, and grow our economy. The governor will announce a first-of-its-kind $50 million strategic investment in job training and the launch of PAsmart, a realignment of workforce development from K-12 education through career programs so students and workers gain the 21st Century skills to get good jobs that employers demand. “Last year I created the Middle Class Task Force of business, worker and education leaders to travel the state and listen to industry and workers. The message was clear: not everyone wants to go to college, but people want the skills to get a job and advance their careers. At the same time, businesses are growing and need a pipeline of talented people for emerging industries. $25 million increase in STEM and computer science education at all levels. Nearly 300,000 jobs in the commonwealth require skills in Science, Technology, Engineering, and Mathematics (STEM). Over the next decade, more than 70 percent of new jobs will require these skills. $7 million increase in apprenticeships with a goal of doubling the number of registered apprentices by 2025. Since Governor Wolf established the commonwealth’s first Apprenticeship and Training Office in 2016, the number of registered apprentices has increased 14.5 percent, from 13,282 registered apprentices to 15,208. $10 million increase to develop Career and Technical Education and STEM career pathways to help students learn about career options and earn an associate degree at a lower cost and in less time. $5 million increase to encourage employers to partner with colleges and universities to develop educational programs that prepare students for the jobs high demand jobs that local employers need. 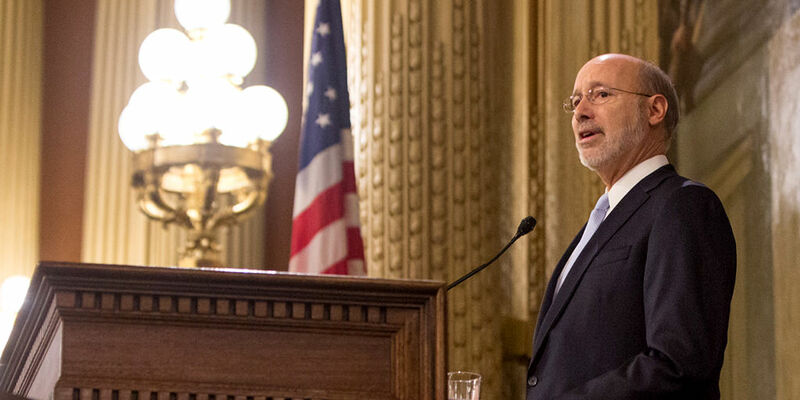 As part of the first phase of the PAsmart initiative, the Wolf administration is launching a new website dedicated to help people get information about pursing an education and career in Pennsylvania at any stage of life. The workforce development initiatives support the Governor’s goal to increase the number of workers with postsecondary training from 47 percent today to 60 percent by 2025.